"CHAMPS is a proactive and positive approach to classroom management. Implementing CHAMPS into Fort Bend classrooms is a district-wide initiative that helps teachers establishes clear expectations with logical and fair responses to student misbehavior. 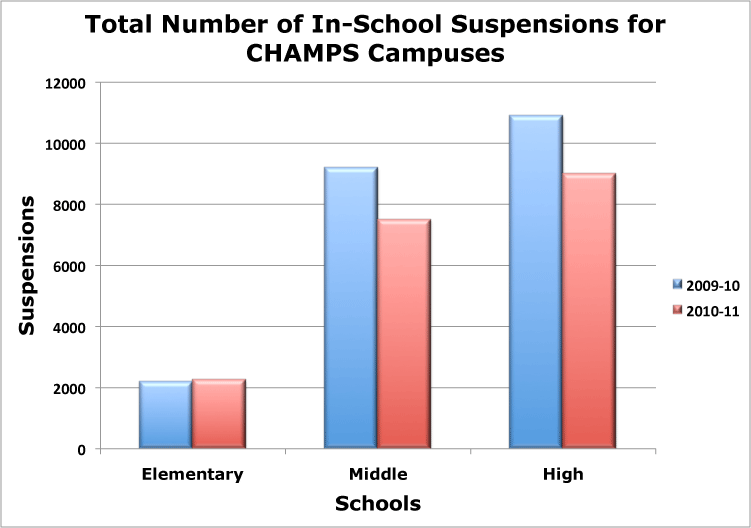 CHAMPS allows teachers to spend less time disciplining and more time teaching. Teachers are equipped with a design to teach students how to behave responsibly and be productive contributors. 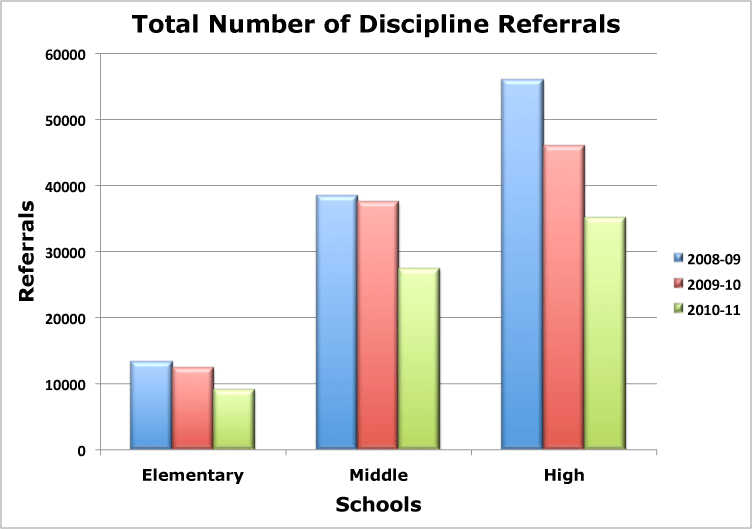 Because misbehavior impacts academics, efforts to promote discipline must be directly aligned with academics. Students' unmet needs will impact behavior. Many times we punish the "neediest" students. The CHAMPS positive approach to classroom management will help campuses and teachers establish common goals, guidelines for success, positive expectations, and motivate students to succeed. 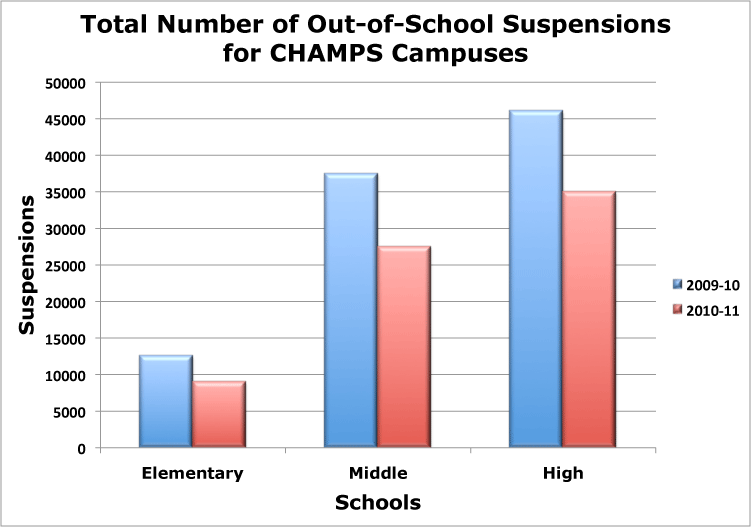 CHAMPS is a research-based prevention and intervention that is implemented as a TIER I intervention. "Fort Bend has experienced great success over the three-year implementation of CHAMPS. Referral numbers are down and school climates throughout the district have improved. Seventy-one of seventy-three Fort Bend campuses have been trained in the CHAMPS Classroom Management system. Fifty-three of seventy-one campuses (up from 37 in 2009-10) showed a decrease in referrals. 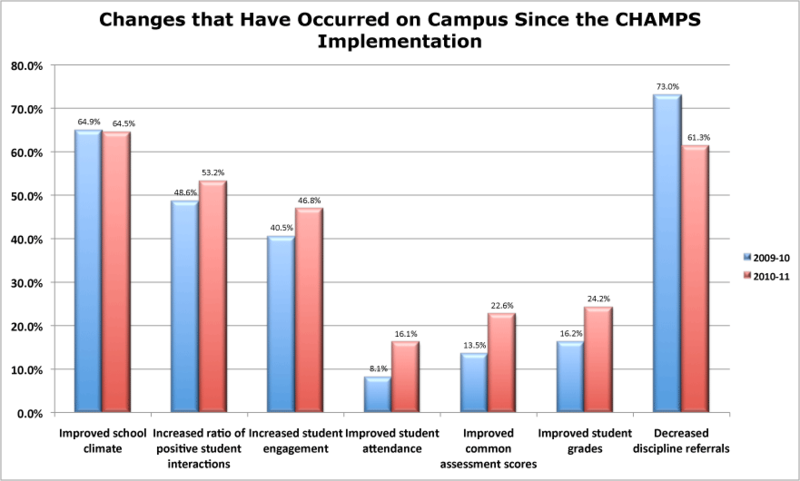 Seventeen campuses (up from seven in 2009-10) had a 50% of higher decrease in referrals. Thirty campuses were trained in the 2008-09 school year; twenty-one campuses received CHAMPS training in 2009-10 and twenty-two campuses are scheduled for CHAMPS refresher training in August 2011. "Every student is entitled to a high quality education in a safe environment." Fort Bend ISD provides positive behavior support to students through Randy Sprick�s Safe & Civil Schools CHAMPS framework." 35% of students are classified as Economically Disadvantaged. 6.4% of students receive Special Education Services. 47 campuses received CHAMPS training this school year. 71 campuses in the district have received CHAMPS training over the three-year period. CHAMPS data was highlighted in the National School of Character district application. The successful implementation of CHAMPS contributed to FBISD being named the 2011 National School District of Character. In May, Fort Bend Independent School District was named by the Character Education Partnership (CEP) in Washington, D.C. as a National School District of Character (NSOC)—the ONLY district in the nation to receive this honor! According to Ilene Harper, Assistant Director of Student Support Services for the district, the district's CHAMPS classroom management initiative contributed greatly to the NSOC designation. The evaluation process was quite rigorous! After the district submitted its application on December 1, 2010, the Texas Elementary Principals and Supervisors Association (TEPSA), named FBISD as the 2011 Texas School District of Character in February 2011. In March 2011, the CEP selected FBISD as a National Finalist, one of only two school districts in the nation. CEP selected the National Finalists from a pool of 140 applicants based on the quality of their in-depth written applications. A NSOC evaluator visited the district for a two-day site evaluation. He toured six campuses, met with groups of students, parents, principals, district and community leaders, and interviewed the Superintendent. The application and evaluator's report were sent to a blue ribbon panel for the final review and scoring. In May, CEP announced the National Schools of Character awards, naming FBISD as the only district in the country to achieve this honor. Fort Bend ISD will serve as a model and mentor to schools and districts across the country encouraging and facilitating social and academic transformation within school environments over the next five years. Safe & Civil Schools is extremely pleased that the CEP has recognized the district's commitment and dedication with this award. We are equally thrilled to have contributed to the establishment of the safe and civil climate of character that FBISD has created. We offer our heartfelt congratulations to the staff and students of FBISD! Keep up the good work!